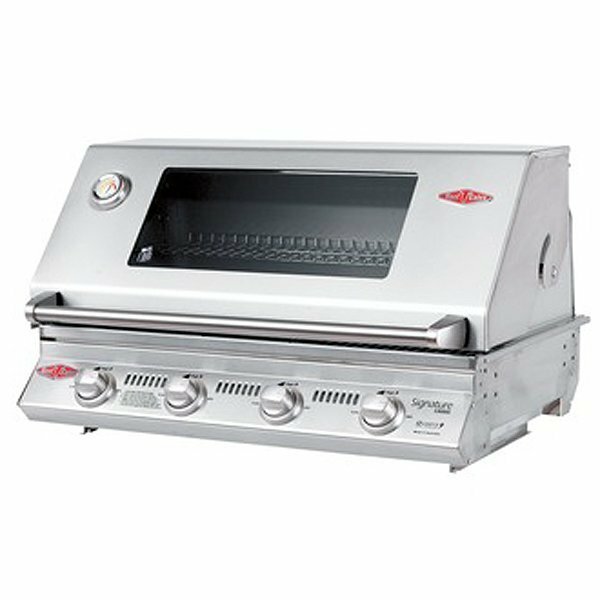 Beefeater 3000SS BS12840S BBQ Grill has 4 Burners, Signature (SS) Series, Height with hood open 715mm, Stainless steel plates grills and burners, Stainless steel cooktops, Fully welded stainless steel BBQ frame, Warming rack and cookbook included, Stainless steel vaporizers to reduce flare-ups, Stainless steel heat reflectors for even distribution of heat, Integrated temperature thermometer, LPG propane gas hose and regulator, Quartz Start Ignition. The BeefEater 3000SS BS12840S BBQ Grill was added to the BBQ Grills category in January 2017. The lowest price GetPrice has found for the BeefEater 3000SS BS12840S BBQ Grill in Australia is $1,749.00 from ozappliances.com.au.